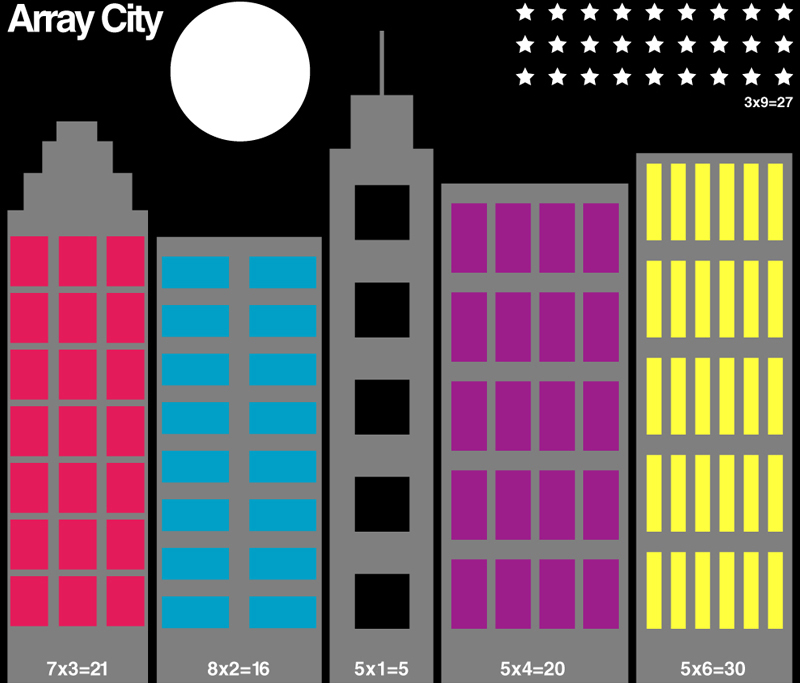 This fun multiplication art project comes from Looking From Third to Fourth! Kids construct a city of arrays! Check out her site for details and a printable. This could be extended to have buildings that are the reverse of the tall arrays, or a child could make a city that included all possibly arrays for a number. This would align with CCSS Grade 5. Thanks for the great art idea.